Red Roses convey the message of love though it has thorns they are successful in making others happy. Like these red roses we can also make our beloved ones happy ignoring about our sorrows. 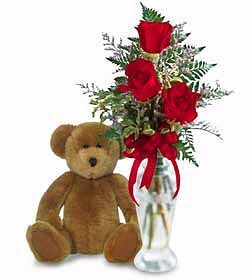 These 3 roses with teddy add a special memory on this occasion.